Bugatti has to be one of the last automakers out there that has either does not offer an SUV or has no immediate plans for one. In fact, just yesterday its boss Stephan Winkelmann confirmed that there won’t be an SUV coming. But I don’t believe him, not for a second. 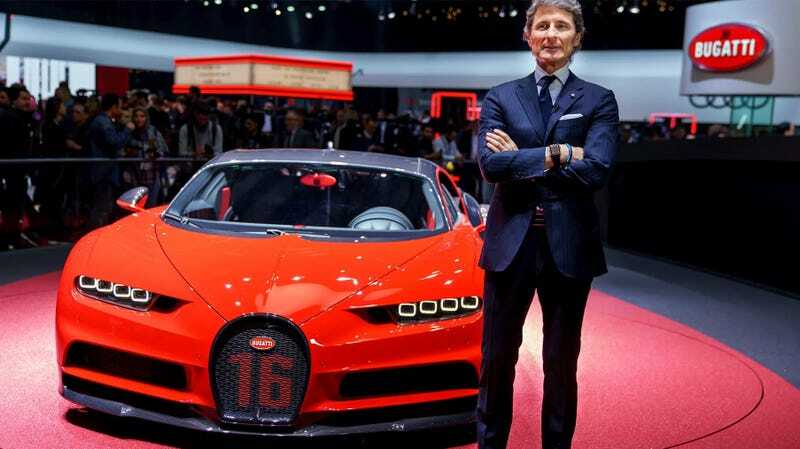 Although speculation is rife and the time appears to be appropriate, “there will be no SUV from Bugatti”, says Stephan Winkelmann. He adds that an SUV would not do justice to the brand or its history. I don’t buy this “brand” talk and neither should you. Why? Because Aston Martin once said the same thing. As did Ferrari. Both are very concerned about “brand image” and both also have SUVs in the pipeline. As for talks of so-called “history?” Girl, please. You can’t get more historically significant than Colin Chapman’s famous “simplify, then add lightness” philosophy. And what is Lotus doing now? Planning an SUV. When these hulking land monsters inevitably debut, everyone will be fed the same marketing BS about how, yes, this is an SUV but “it’s still built from pure [insert brand here] DNA” and blah blah blah. So go ahead and rejoice because it seems like there won’t be a Bugatti SUV coming—for now. But when there is one, I’ll be standing right here with a big, fat I TOLD YOU SO sign on my front lawn.